A pilot program aimed at finding cheaper ways to deliver goods and mail to North Slope communities has been scrapped just before it was set to launch. The U.S. Postal Service had partnered with Lynden Transport Inc. and planned to use multiple modes of transportation to make Bypass Mail and non-priority mail deliveries around the North Slope hubs of Deadhorse and Utqiagvik. The pilot program was set to start Jan. 15 and run for one year. USPS officials went as far as to inform other mail carriers that could see their business impacted by the plan. Jodi McDermott, a commercial air network manager with the Postal Service, wrote in a Dec. 7 letter to Anchorage-based Northern Air Cargo leadership that Lynden Transport would deliver the same mail at the same frequency as before, but would use tractor-trailers traversing the tundra during winter, marine landing craft in summer and aircraft only during the spring and fall shoulder seasons. The belief, according to McDermott, was that Lynden would be able to achieve as good or better on-time service compared to the air service primarily used today. A major freight carrier in Alaska with corporate offices in Anchorage and Seattle, Lynden Transport is the parent company to 16 air, marine, ground and logistics subsidiaries. “The Postal Service expects substantial savings during the one-year pilot test. If the pilot test is successful, the annual savings are expected to increase due to continual Department of Transportation airline rate cost increases. These transportation savings come at a critical time for the Postal Service, as we continue to experience financial losses every year,” McDermott wrote. Established in 1972 as a way to ease demand on postal facilities that were running over capacity, the Bypass Mail program supplies a large portion of the consumer goods used in rural Alaska. The program uses a complex system of rate and aircraft classifications depending on the route served to determine freight fees. Those rates are established by the Department of Transportation and imposed on the Postal Service. Air carriers transport the freight orders that could be anything from food to power tools to household items, directly to their destination without going through a postal facility. The carriers are paid by the Postal Service. The Alaska Congressional Delegation successfully fought off changes to the Bypass Mail rate structure proposed by Rep. Darrell Issa, R-Calif., in 2014. At the time, officials with the Postal Service inspector general’s office said during a House committee meeting regarding Issa’s legislation that the Alaska-specific program lost $76 million in 2013, or 70 cents for every dollar of the $108 million the post office invested. Issa’s bill would have required the Postal Service to recover up to half of its Bypass Mail costs by 2020 through incremental rate increases. It’s unclear exactly why the Postal Service suddenly changed course and canceled the multi-modal test. USPS Alaska spokesman Brian Sperry said Jan. 14 via email that the program had been withdrawn and was no longer being pursued and he could not elaborate further on the reasons why. A spokesman for Lynden Transport also did not respond to questions about the program and why it was nixed. 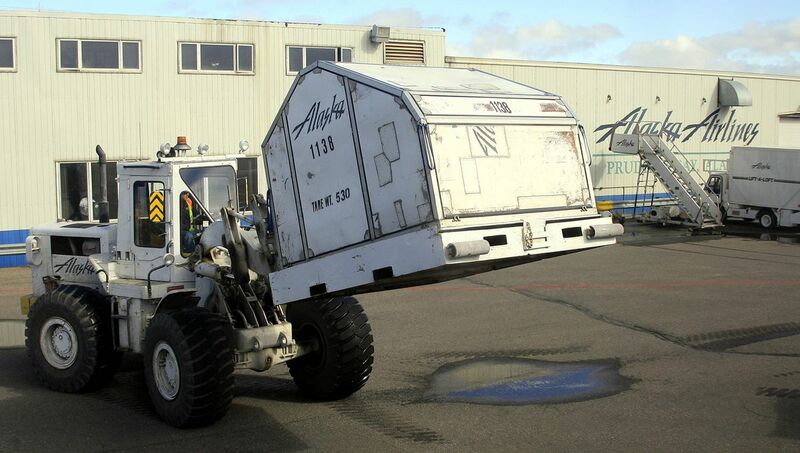 Alaska Air Carriers Association leaders sent a letter to McDermott Dec. 13 requesting the Postal Service pause the program until the potential impacts to contracted mail carriers could be identified. AACA Executive Director Jane Dale said in a brief interview that it was subsequently determined the Postal Service has the legal authority to launch the pilot without going through a standard RFP process. She stressed the association does not want to meddle in any one company’s business, but seeks transparency and open competition for opportunities available to its members. Dale could only speculate as to why the program was canceled.